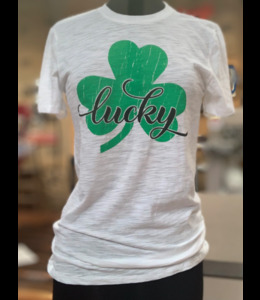 A white, heather tee featuring a 3-leaf clover and the text "lucky." 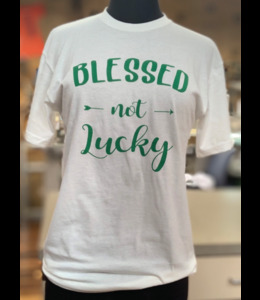 A white tee with the phrase, "Blessed not Lucky," printed across the front in green. 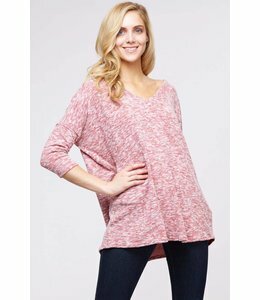 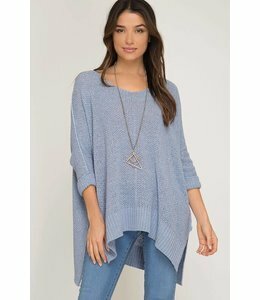 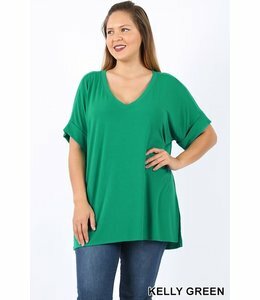 A 3/4-sleeved sweater with a curved, high-low hem and a boat neck. 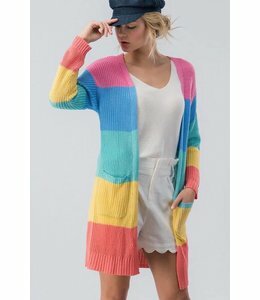 A candy-colored striped cardigan with an open front and pockets. 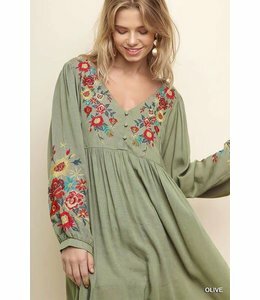 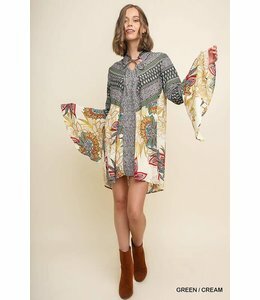 A mixed-pattern floral dress with bell sleeves and a tie neckline.